Metcheck.com - Storm Forecast Discussions - Weekly Storm Forecast - From 5 August 2018 - Expert Meteorologists Analyse Storm and Convective Forecasts For Countries Around The World. A continued risk of some local, scattered thunderstorms across parts of Northeast England on Monday afternoon ahead of a weakening cold front coming in from the Northwest. Tuesday though is a little more complex. The GFS brings some decent CAPE and LI values across parts of Southeast and Eastern England as a plume of hot air heads North across Western Europe. It's entirely plausible that the cold front has actually pushed through a little quicker than the global models suggest and the upper ridge flattens quickly in the process. 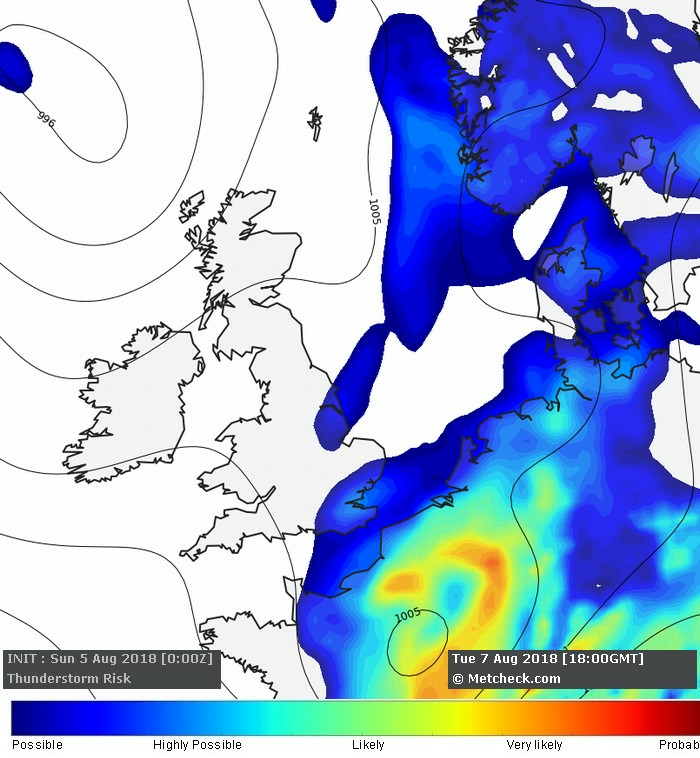 Some of the mesoscale models, notably FMI and ARPEGE keep the elevated CAPE higher across Southeast and Eastern England during Tuesday afternoon which would allow the development of some home grown thunderstorms for a time before cooler air comes in from the Northwest. 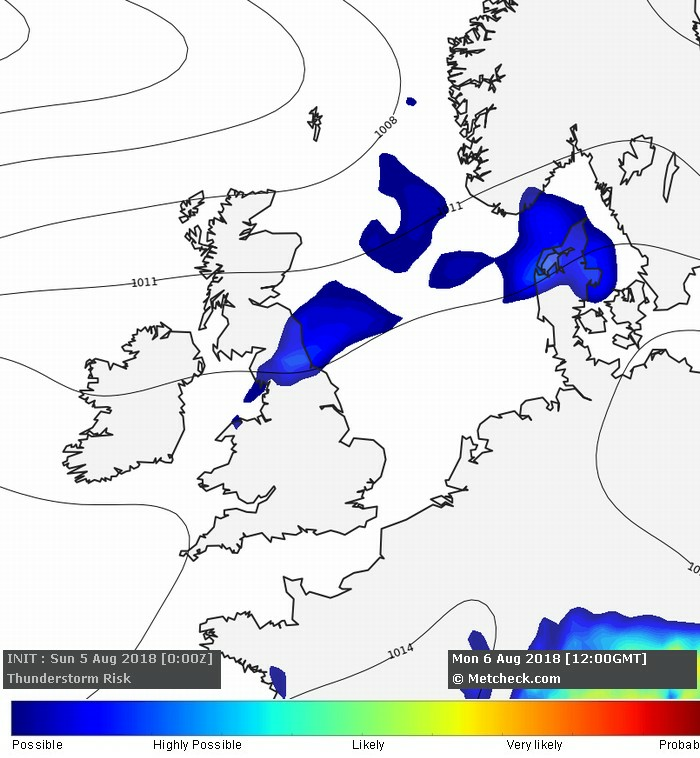 That said, the risk of major thunderstorms across parts of Northern France and the low countries still remains high and we will cover this in a little more detail on Monday.